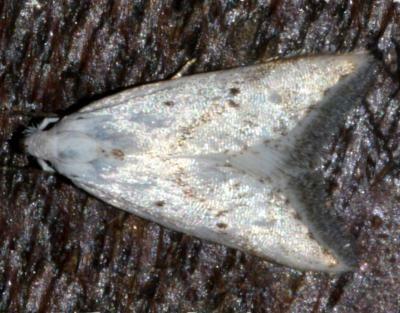 These adult moths have forewings which are white, each with a short brown streak along part of the costa, some dark dots near the middle, and several dark dots along the margin. The hindwings are off-white. The head, thorax, abdomen, and tail tuft, are white. The wingspan is about 1.6 cms. CSIRO Publishing, Melbourne 1994, pp. 226-229, 236. Volume 1 (1913), p. 121.